With Genuine Nissan Oil Filter! Using genuine Nissan oil filter and multi upgrade oil up to vehicle specifications. Lube as necessary. 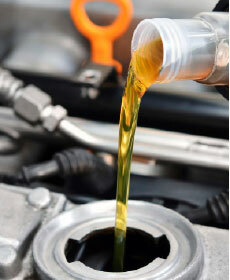 Genuine Nissan ester engine oil or synthetic oil may be available at additional cost. No Cash Value.